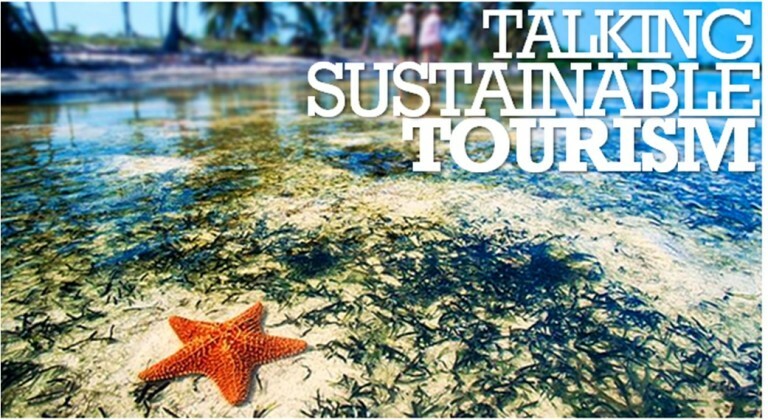 “Sustainable tourism aims to minimize the negative impacts and maximize the benefits of tourism. Sustainable tourism is environmentally and socially conscious, as well as economically viable in the long-term. It should not undermine the original attractiveness of a tourism site through, for example, over-development or environmental degradatio” – Conversations for Change. Organisations which play a role in developing a more sustainable tourism and hotel industry include the following (see also Hospitalility). Tourism Australia’s website has a range of tools, resources and messages to help you make make sustainability a part of your tourism business. For example, they have fact sheets on how to host a green event. Green Globe is the global travel and tourism industries’ certification program for sustainable tourism. Eco Tourism Australia has a green certification program for genuine nature and eco tourism operators. The Climate Action Certification Program (CACP) is an initiative of, and it is owned and managed by Sustainable Tourism Australia, a wholly owned company of Ecotourism Australia (EA). EA is a Public Company (Limited by guarantee) and operates on a not for profit basis. Sustainable Tourism Online (STO) is a comprehensive online information resource delivering substantial research, data and tools within three main sustainability themes – Destinations and Communities, Business Operations, and Parks & Culture. We also offer relevant information and knowledge on broader sustainability tourism topics. The site was developed by Australia’s Sustainable Tourism Cooperative Research Centre (STCRC) in 2010. Other similar organisations around the world are listed on the Responsible Travel website. In Australia, purchase the standard from SAI Global here. Internationally, join the Sustainable Events Alliance – the global industry association and affiliation of organisations, events and individuals who are focusing on improving the sustainability outcomes of event production and to harness the powerful opportunity to advance and promote sustainable development through events. GreenShoot Pacific creates strategy, systems and solutions to improve the sustainability performance of business, government, sport, recreation, the arts and community. Bridging the knowledge-gap to embed sustainability into our client’s every day operations. Steps to Sustainable Tourism Guide has been developed with the assistance of the tourism industry, academics and heritage managers and is published by the Commonwealth Government 2004. This 74 page guide offers a step-by-step approach to foster partnerships and to achieve benefits for tourism and conservation interests. Sustainable Event Management: A Practical Guide, by Meegan Jones (website also includes free access to a similar e-book by GreenShoot Pacific.